The P2A00 Code is set when A/F sensor output voltage change value is below regular value against fuel trim change value. The Air-Fuel ratio (A/F) sensor varies its output voltage in proportion to the air-fuel ratio. Based on the output voltage, the ECM determines if the air-fuel ratio is RICH or LEAN and adjusts the stoichiometric air-fuel ratio. 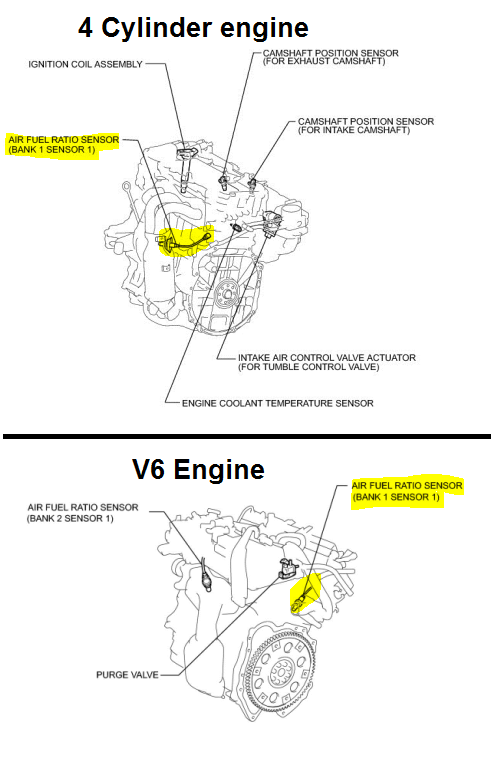 The ECM also checks the fuel injection volume compensation value to check if the A/F sensor is deteriorating or not. A/F sensor response deterioration is determined by the ratio of the A/F sensor output voltage variation and fuel trim variation. Help us improve AutoCodes.com. Leave a comment below or tell us if the information above help you fix the code. What are the symptoms on your vehicle for the P2a00 2008 Toyota Camry code? Have you replaced any parts?